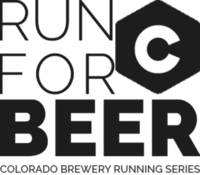 We are the CO Brewery Running Series and we run for beer! Join us at Jagged Mountain Craft Brewery on Saturday, September 9 at 11am for a 5k-ish course that starts and ends at this awesome brewery in downtown Denver! Weave through the surrounding streets at whatever pace you like, no matter what there’s a beer waiting for you at the finish line. We are all about being active, having fun and giving back to our local community. Since our inaugural event in 2012, we have been able to donate over $40,000 back to local non-profits. This event will add to that tally! 10% of all proceeds goes directly to The Park People and Denver Diggs Trees, a local organization that helps fund and execute projects in Denver parks. So not only do you get to a little exercise and enjoy a great beer, you are contributing to our awesome CO community! What’s included?! All participants receive a FREE craft brew and get to take home a collectors pint glass or seasonal swag item from the Brewery Running Series + swag, goodies and giveaways from our partners and sponsors + chance to win sweet door prizes and more free beer! Your registration also earns you an invitation to stick around and enjoy the day’s entertainment: live music, food trucks, local vendors, and fun with our sponsors. The fun-run starts at 11am. Plan to arrive about 30 minutes prior to check-in and check out our partners, sponsors and pre-race activities. Don’t forget some extra $$$. In addition to your FREE beer and swag there will be merchandise for sale, food trucks, and plenty more beer! Cheers to beer! We’ll see you at Jagged Mountain Craft Brewery!